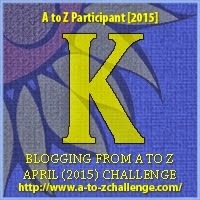 David Powers King: The WOVEN A to Z Challenge: K is for King Lennart! The WOVEN A to Z Challenge: K is for King Lennart! I dedicate this A to Z Challenge to Tina Downey, one of the A to Z Challenge founders and one of the brightest bloggers who sadly left us last year. Harder still, she was in a secret support group that I'm part of. The best way I can honor Tina, who was excited about and never had the opportunity to read my debut, I've teamed up with Father Dragon to present short bios and character portraits from Woven. I'll write the bios and all art is created by Al Diaz. I hope you enjoy this visual tribute to our friend, Tina. 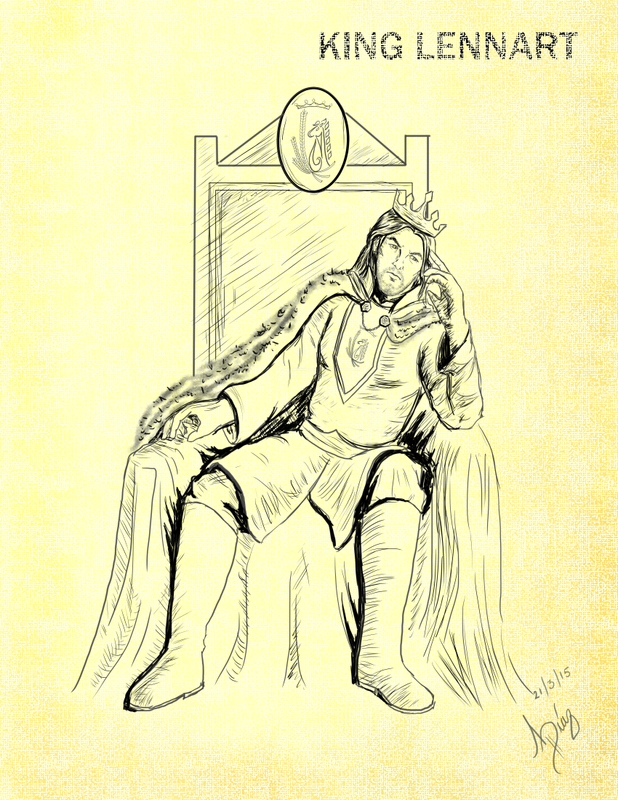 Regarded by his subjects as a "dispassionate monarch," King Lennart is the ruler of Avërand and Princess Tyra's father. He has straight red hair and blue eyes, and spends most days in the castle--delegating his duties to others. Rasmus's betrayal and the murder of his father and best friend years ago left Lennart depressed and indecisive. There is a rumor that he is cursed. Wovenbook.com Amazon Barnes&Noble IndieBound BAM! I'm David, and "you may reward him." Excellent drawing, Al! And the perfect pose for the character. I felt bad for King Lennart but I was frustrated with what he allowed to happen in his kingdom with his depression. Al captured his expression well! I like the looks of him. His throne is well done too. That's a good illustration of the king! He surely looks depressed. Great illustration of the character Al. I kept wanting to give him a swift king in the royal breeches. A kind cannot sit on a throne for long, if all he does is delegate. Cursed with the monster of depression is what it sounds like. He looks dispassionate in that drawing. Like he was posing for it and resisting asking "Are we done yet?" the whole time. These are so fun. I felt for that whole family. Talk about an unhappy king. Awesome drawing and great characterization of the King. Sad backstory, but he can't let that define him! I wouldn't say he looks depressed, but his mind is definitely elsewhere. Ah, a K character from your book. :-) Well the good thing about him is he has red hair--I'm kinda partial to that. There are times when I've gone to take care of mine and look in the mirror I feel cursed, lol! A wonderful characterization and illustration! I would blame the red hair, but that's an entire side of my family tree and that would be wrong. Wait he does look like some of my family members. I love that picture, sir Dragon! And Mr. David- you've presented another glimpse at an intriguing character! All red heads are cursed!! Don't you know? I know I am! Sounds like he's a bit of an unhappy camper. So is he cursed or actually depressed and in need of a pick me up? Love your drawing, so much is said in it. Hi David - I must say Father Dragon has drawn King Lennart exactly as he's described "a dispassionate monarch" ... good description too .. but I guess doesn't portend well - til he gets his act together ..
Al did an excellent job capturing King Lennart is his drawing. I enjoyed learning about him. Red hair and blue eyes ... I didn't know. Murder and betrayal are certainly enough to leave even a king depressed. I think it is wonderful and special that you have dedicated the challenge to Tina. I get sad each time I read it. I didn't really know her. I had visited her blog, but most of what I have learned, I learned from all of her wonderful friends. It is clear how much she meant to so many people and how missed she will always be. A secret support group - now that sounds fun. I know you miss her. I enjoyed your words today and Al's drawing.